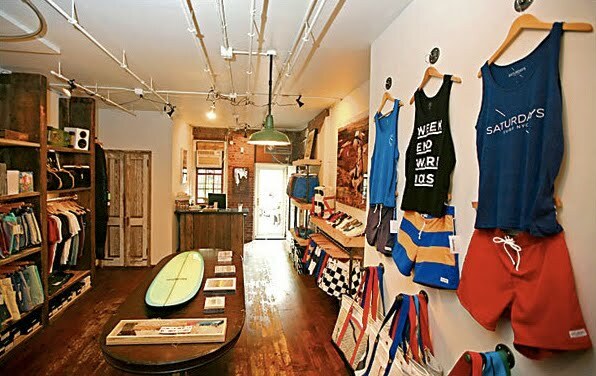 Located in post industrial Brooklyn where you wouldn’t expect to find a surf shop since the nearest body of water is the East River, lies Pilgrim Surf + Supply. Like the location, the crowd is not what you expect from the regular sandy feet surfer clientele but that’s all part of the charm. 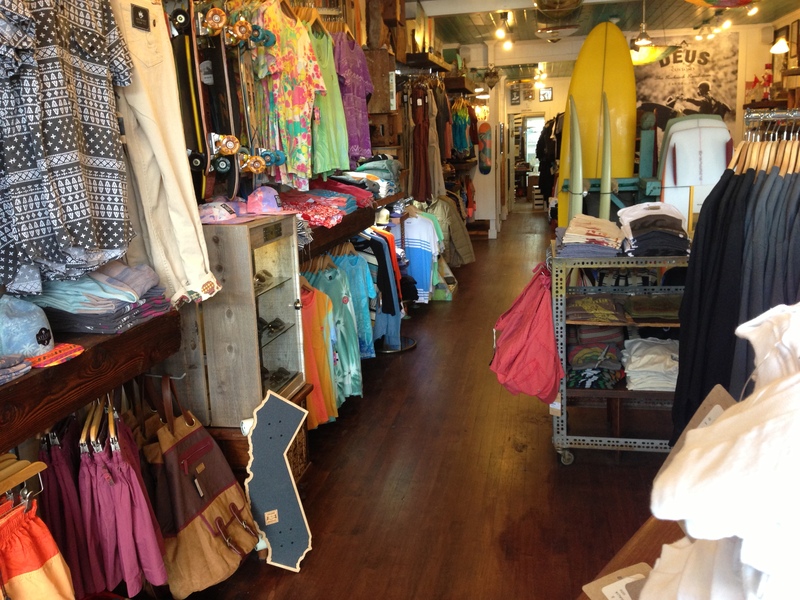 Today surf shops cater to every type of person, and so does this shop. Surfing has become more of a lifestyle and trend that’s recognized world wide. Located in Laguna Beach, California Thalia caught our eye back in March when we were ‘Haus Hunting’ back in March. Other than the great graphic shirts, and variety from long boards to drop crotch pants, Thalia also hosts events such as Beached Days; a magazine gathering with free tacos. 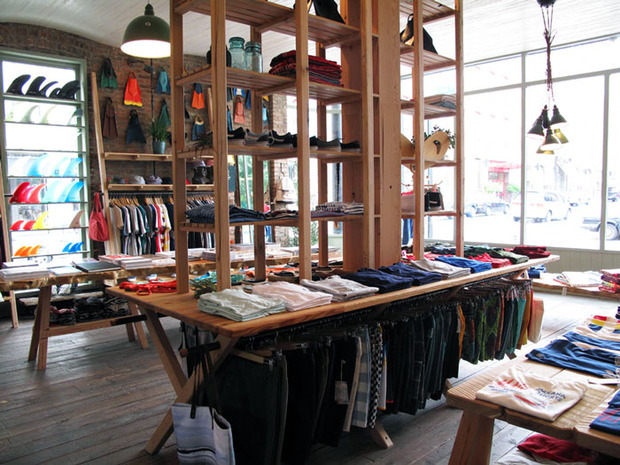 A surf shop that’s located in New York City, has an in shop coffee shop, and back patio to hang out. More than just a surf shop, Saturdays NYC has become a brand that is recognized for its lifestyle and is now touring in Japan. They take the concept of second save surf shop to the next level. 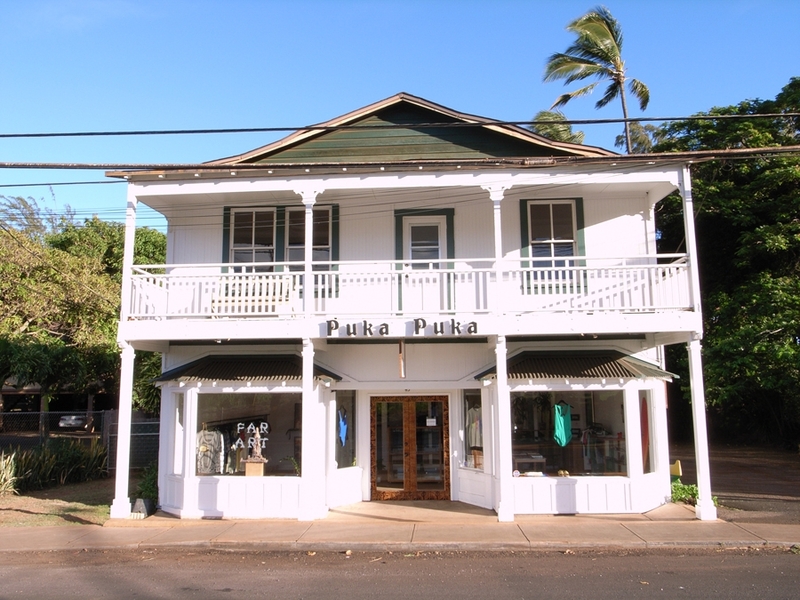 This is an all in one shop located on Maui’s North Shore. It is equipped with a screening room and art gallery. Only half the customers that come to this shop are actual surfers, and the other half are either looking to watch a movie or see the new art displays. Stock brokers and art curators from New York stumble in all the time and end up leaving with a pair of board shorts. The surfers of Maui don’t mind sharing the wave.